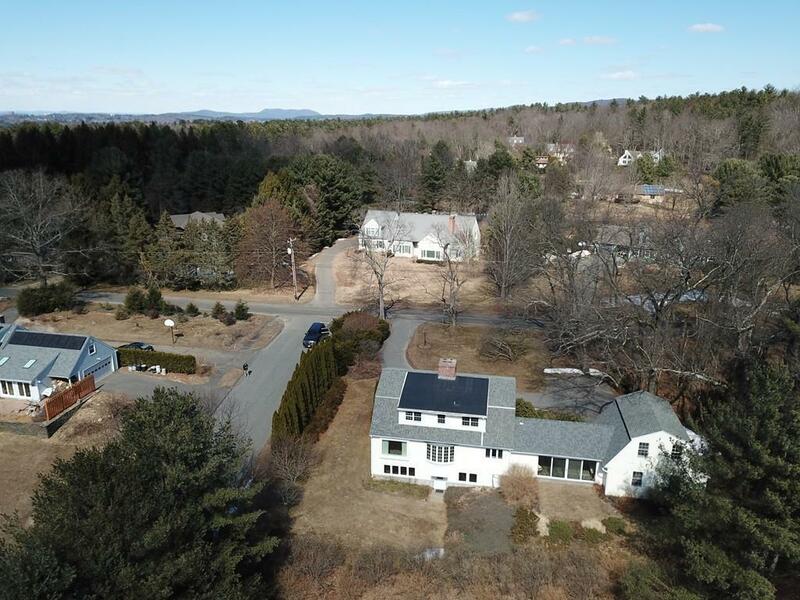 This much loved & well maintained, Dutch Colonial with walk-out basement is sited on .76 acre corner lot with distant views of the Holyoke Range. Other locational perks: closeby Rail Trail & 10 min. to Amherst Center. 2850 sq. 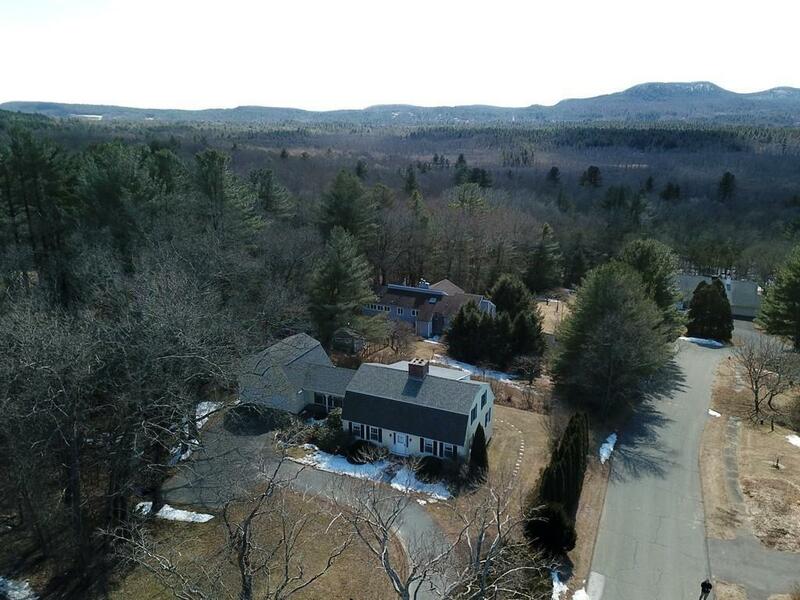 ft. comprise on main floor, both formal living room with fireplace & dining room with views to the south; remodeled, large, eat-in kitchen with cherry cabinetry & fireplace; bedroom & 3/4 bath. 3 season, enclosed porch extends dining area off the kitchen for warmer days & enjoys both views & slider access to backyard & 2 car garage. Two very spacious bedrooms with full bath occupy 2nd floor. Re-modeled in 1990's, basement walk-out features fully windowed, family room with the 3rd fireplace, as well as office and half bath. Separate entry to this space is a real bonus both for a home office & yard activities. Other amenities include: oak & tile floors; built-in bookcases in dining room; some newer, double hung windows & storage area extending above 2 car garage. 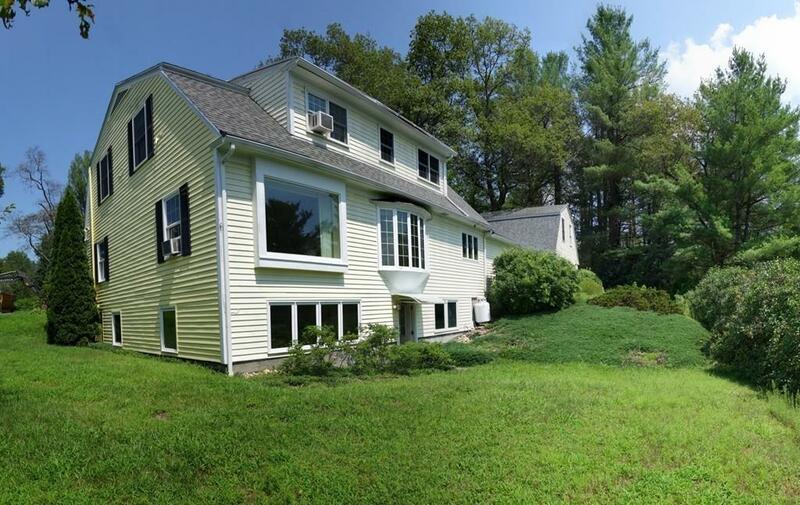 Listing courtesy of Sally Malsch of 5 College Realtorsâ®. 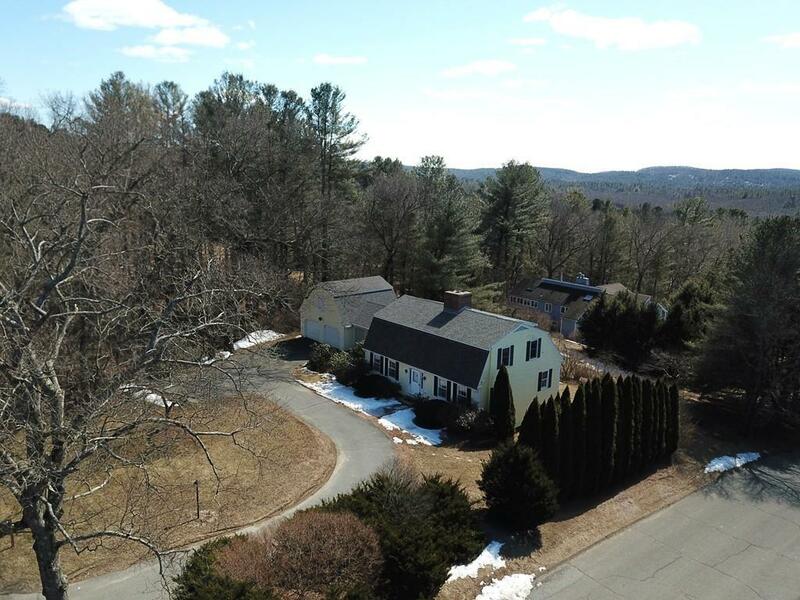 Listing provided courtesy of Sally Malsch of 5 College Realtorsâ®.